Cook cauliflower rice as as you are preparing the shrimp/asparagus sauce. Cauliflower rice: Warm a tablespoon of olive oil or butter in a large skillet over medium heat. Stir in the couscous and sprinkle with a little salt. Cover the skillet and cook for 5 to 8 minutes, until the rice is as tender as you like. Shrimp & Asparagus sauce: In a skillet, cook garlic, and red pepper flakes in heated oil and butter for 2 to 3 minutes. 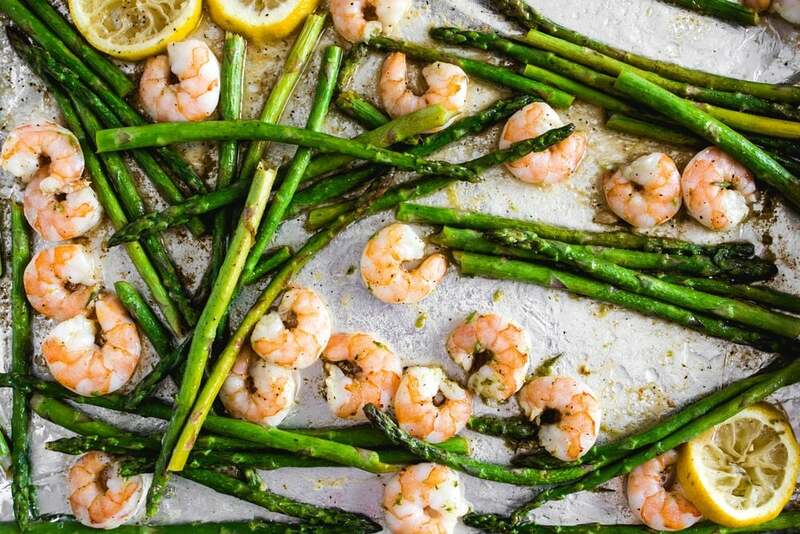 Add asparagus, salt and pepper; saute asparagus for 3 minutes and add shrimp saute all together for five more minutes until asparagus is crisp-tender and shrimp is pink, about 8 minutes total. Pour over cauliflower rice. Garnish with fresh shaved parmesan cheese and serve immediately. Optional: squeeze some lemon for a slightly citrusy take.